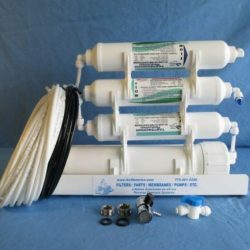 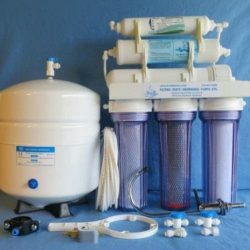 This 300 GPD system is ideal for those who need a lot of RO water. 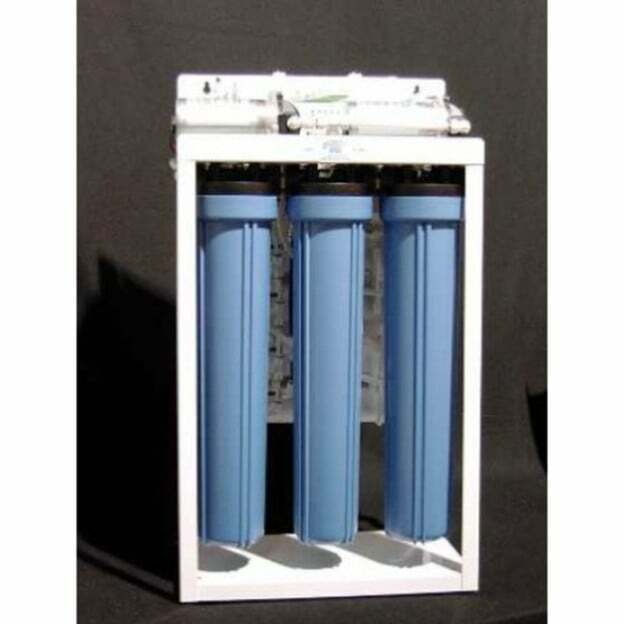 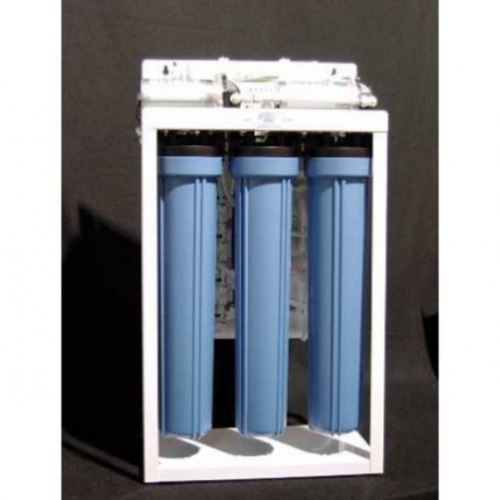 It has three 20-inch pre-filters followed by three 100 GPD membranes. 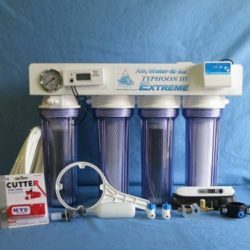 It has a built in pump installed to insure sufficient pressure to make a lot of RO water.